If you’re intending to make a single shackle, there will be a lot of leftover material if using this materials list. It’s more cost effective to make more than one, such as 3 or 6, as you can use a 1m length of flat iron to produce 3 shackles. The best real way to achieve that rusty, authentically aged appearance for these shackles is start off with a straight length of flat iron and beat the hell out of it until resembling something round in shape. I large vice and a hammer is ideal for this, you may have to improvise a little more if you don’t have access to one. 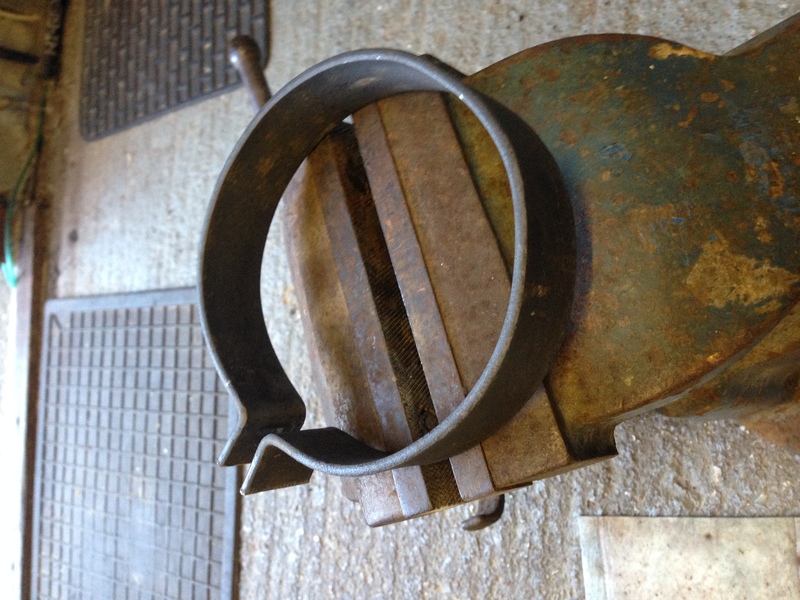 Once the the shackles round enough to your satisfaction, it cam be cut in half at the position of the hinge. 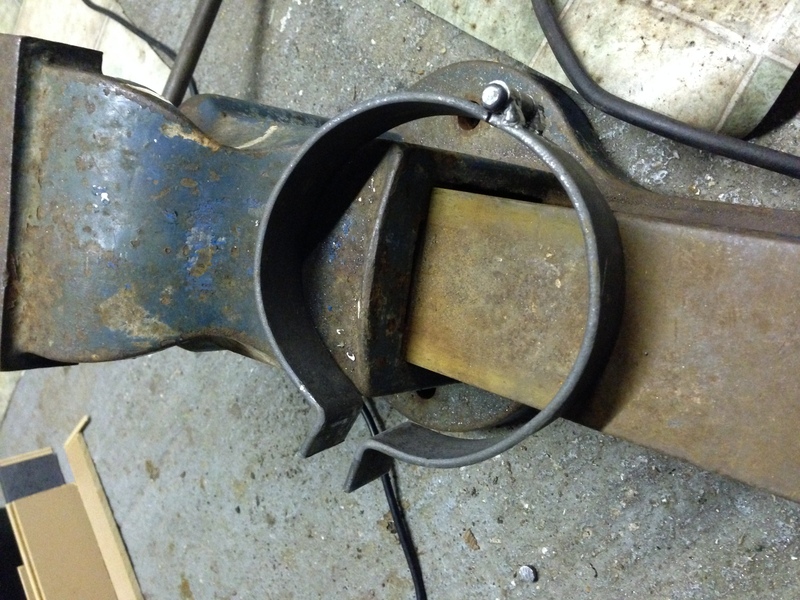 The hinge itself is 6mm rod used as the pin going through hollowed out thicker rod that has been cut into 3 sections and welded to the shackle. 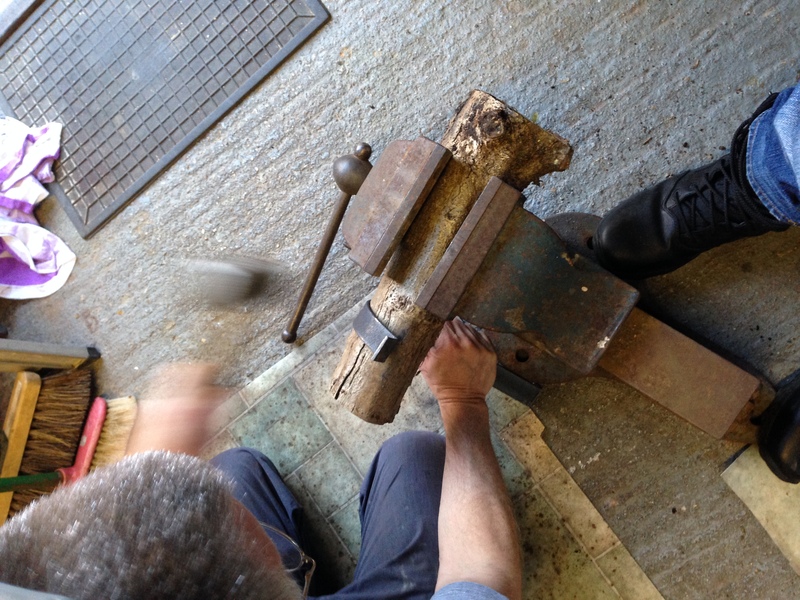 Both ends of the pin were then rounded – using a hammer – to prevent it slipping out of the hinge. 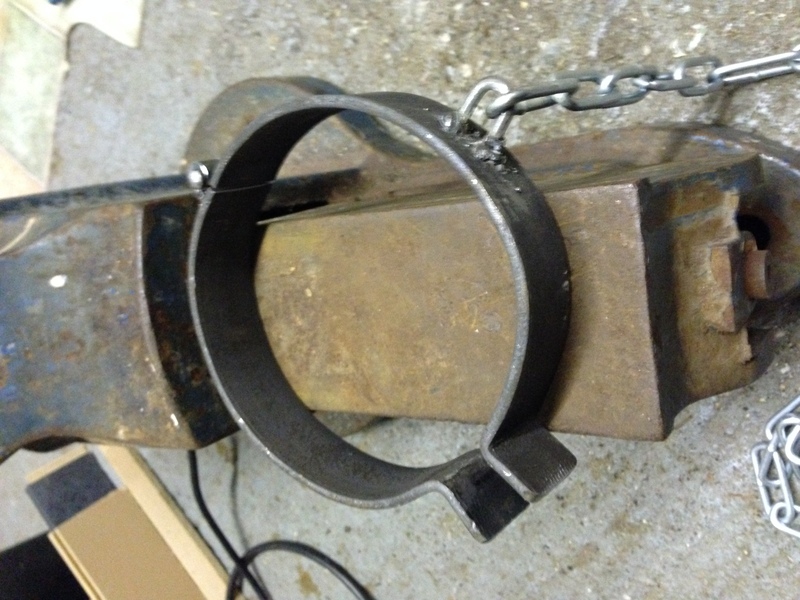 Almost there, the next task is to add the chain, with the easiest option being cutting one of the links in half and welding this to the side of the shackle – just make sure to loop it through the rest of the chain before welding! Finally, you will need to drill a hole through to allow your padlock to slot through and lock the shackle closed. And there you have it, a rustic, original shackle and chain, finished off with a combination lock to complete the look.